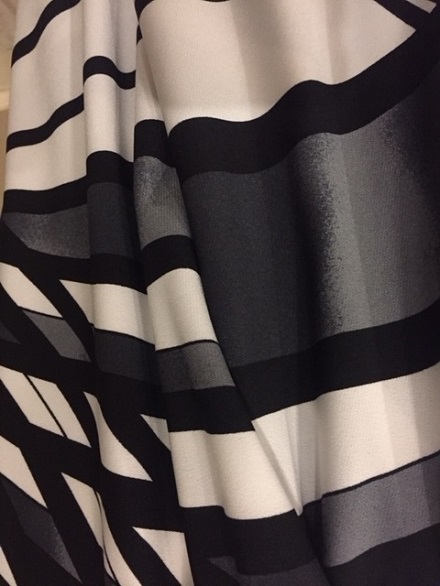 60″ wide 95% Rayon 5% Lycra a beautiful sophisticated black and white lycra knit for optional season. Superb quality with a liquid buttery drap. The weigh is perfect for a Tunic top, dress, skirt. For any event casual to dressy.